Lord’s Mobile: How did you do it on a stormy day? Lord’s Mobile: Turf in Tough waters, let’s go up to the blue skies! Turfs are tough to handle, especially when you know you are a rookie player. I have played Lord’s Mobile for some time now, and the last few days I’ve been scouted and attacked many times. I realised I had to ‘Patrol the Border’. It took seven minutes to complete the Admin Quest. It left me devastated. All I have been thinking about is how to build up my fallen turf, not realising I could’ve done something about it. In the blink of an eye, I see fire on my turf when I woke up in the morning in my hotel room. I took a quick look into the damage, and speedy recovery of my troops was initiated at first. Dear Lords and Ladies, if you were there, embrace the storm with me. Maxing up resources seems to a possible option to upgrade the walls and watchtowers. Let’s start to look into this matter right now! Ooh!it's hot! Watchtowers– Oh Guys! Watchtowers play a role in watching over your turf. Forget not to upgrade this erected structure. Quick info- Level 1 Alerts you to incoming armies! Reveals mission and objective of enemy Armies approaching your Turf or Camps. You can build your way up to strengthening your turf. Research (Academy'– Archer Tower can be researched, and Spikes too. In a far kingdom like yours, you could use Spikes and Spike Boulders. Your military researches also add up to strengthening your defences, with ‘Infantry Defence’ on your hands. 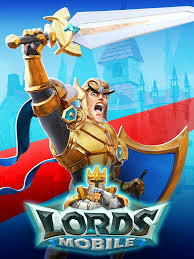 In Lords Mobile, you get all the unexpected and spontaneous action that every gamer want to experience. Hope you Lords and Ladies of faraway kingdoms stay connected and collided this summer 18'! I'm so grateful for your support, and you can be a part of this kingdom if you want to. You can get this cool game on the Google Play Store on Android and the Apple App Store today! Get bonuses and participate summer events and compete with friends all over the world. Dear Lords and Ladies, you can also share your thoughts and tips below! Likewise, let's Lords Mobile this summer 18'!